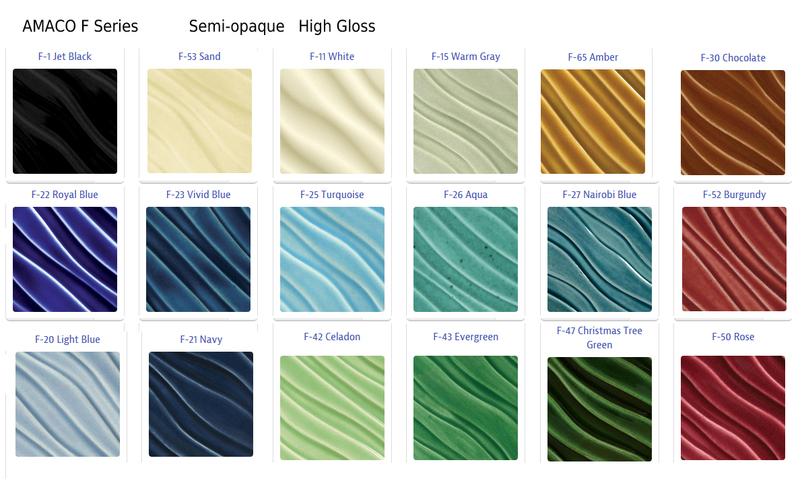 Any of these glazes can be ordered for any of the tile designs. These are all glossy. 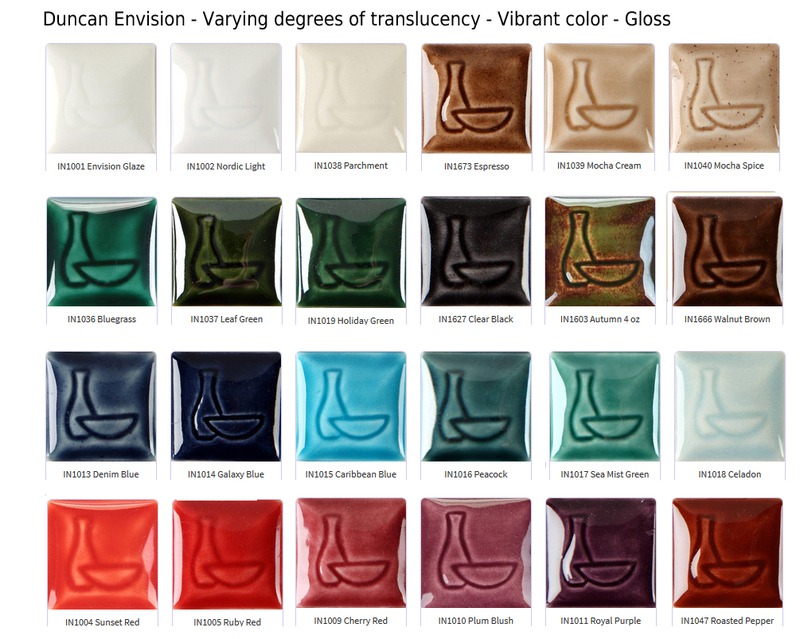 1) You can find a commercial glaze on line from a manufacturer that we don't have displayed. Keep in mind, it needs to be a low fire glaze. The Cone number is either 05 or 06 or we can't use it. 2) You can also browse the manufacturers that we do have displayed. 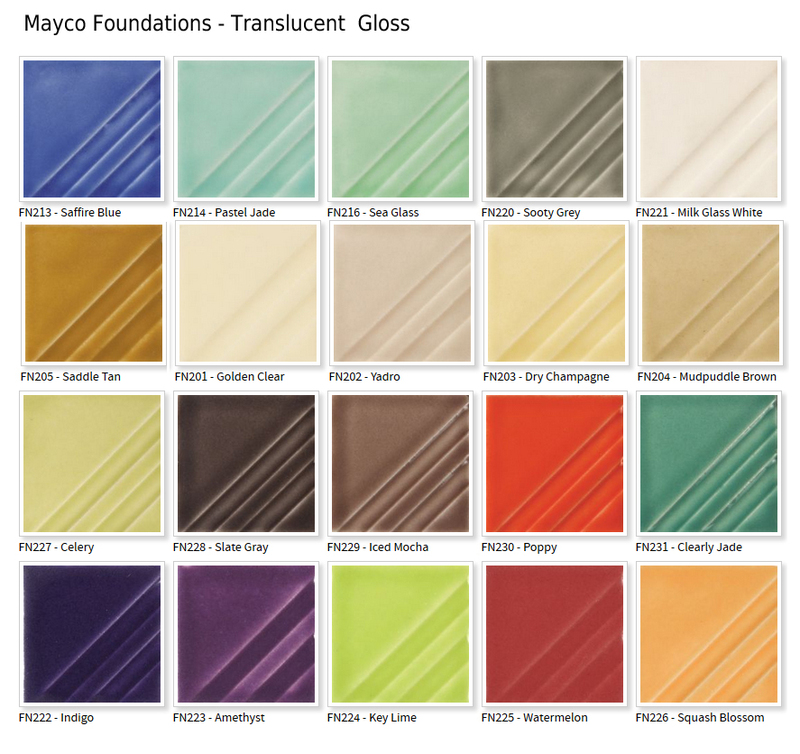 We show glazes from Duncan, Mayco and Amaco. 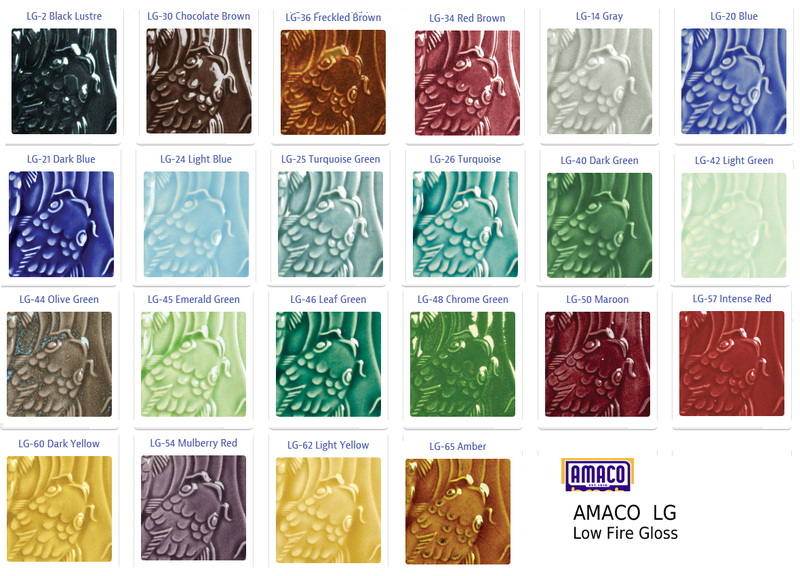 3) - You can visit a ceramics store in your area and see the color chips they have available. It's a good idea to take one of your field tiles so you can make sure the commercial glaze will coordinate with your background colors.